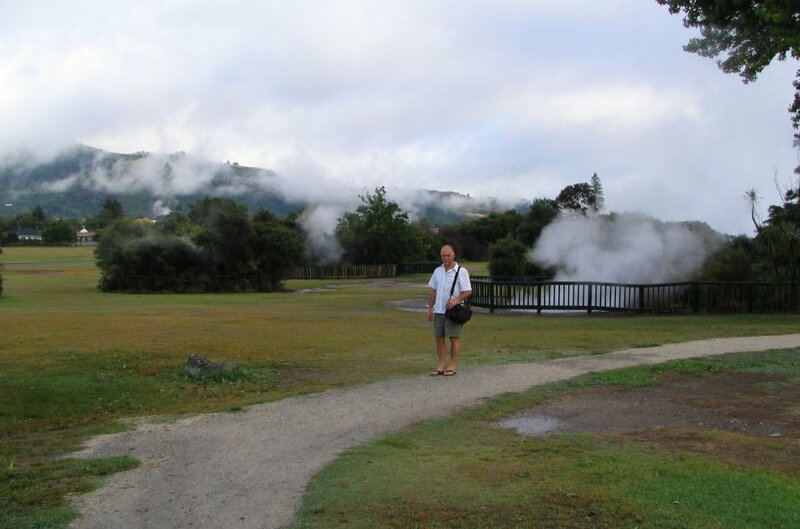 It rained heavily most of the night, but under clearing skies this morning, Cathy and I took a walk to the city park (Kuirau Park) next door to see what initially made Rotorua famous - the hot water in its many forms. It’s quite a sight to see steam coming out of everything from ponds to storm drains and people’s back yards! There is no admission charge to the park. This photograph is © 2008-2013 by Cathy Small, and is not to be copied without express permission.